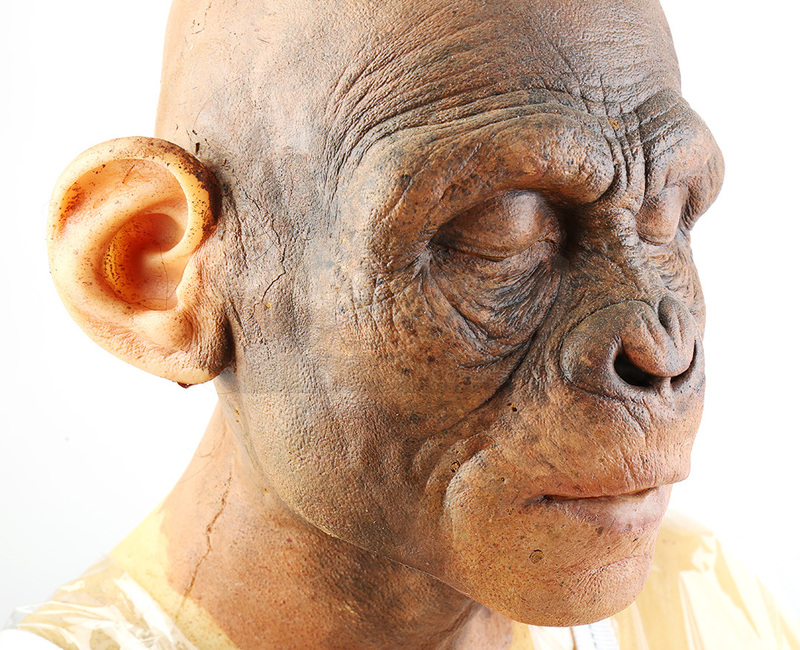 A Chimp (Philip Tan) head appliance made for the production of Tim Burton's sci-fi remake Planet of the Apes. 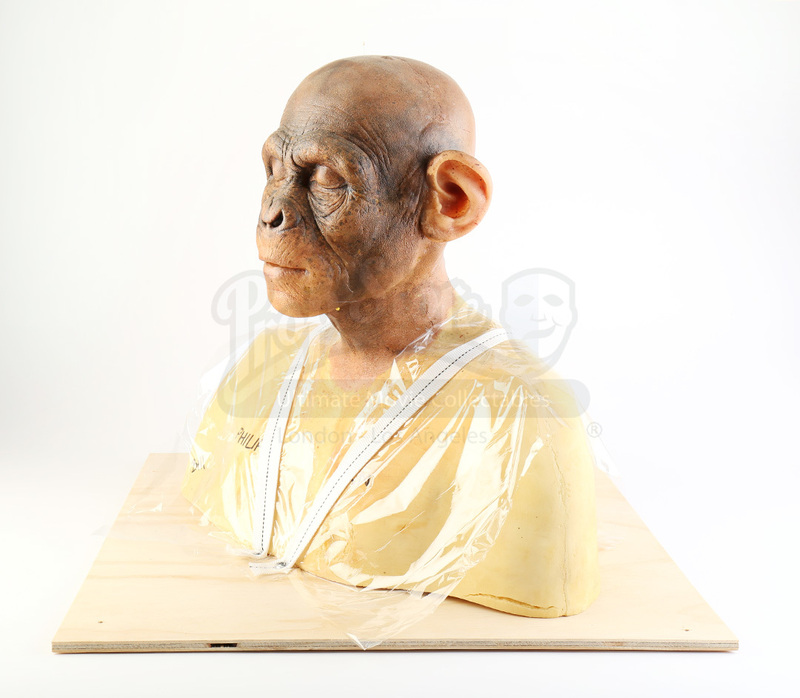 The appliance is made of foam latex and rests on a biscuit foam lifecast. 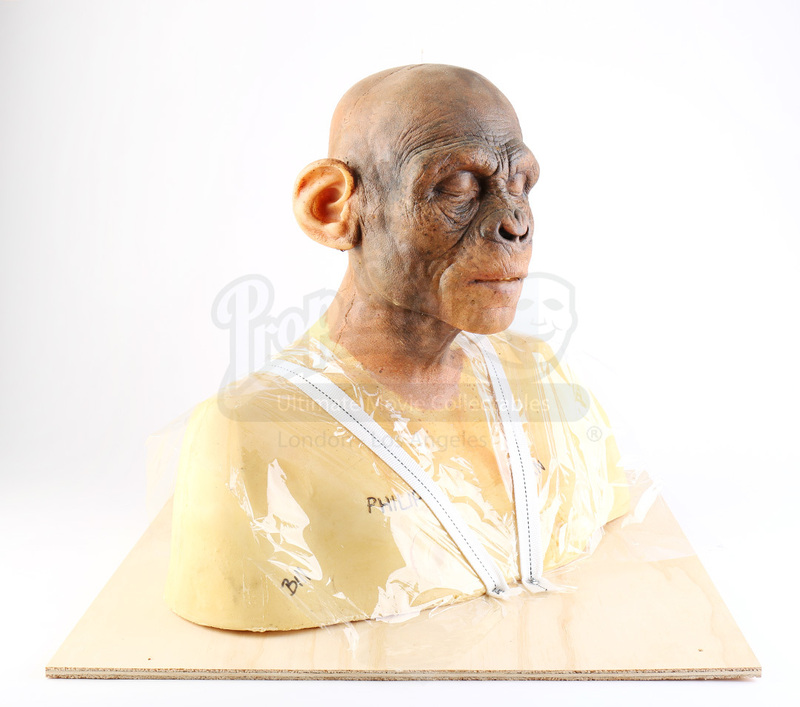 The appliance has been glued down to the bust and has been painted and blended just as it would be if applied to the actor. Painted in shades of brown and tan, the appliance is detailed with wrinkling and creases throughout and is painted in hues of tan and brown. 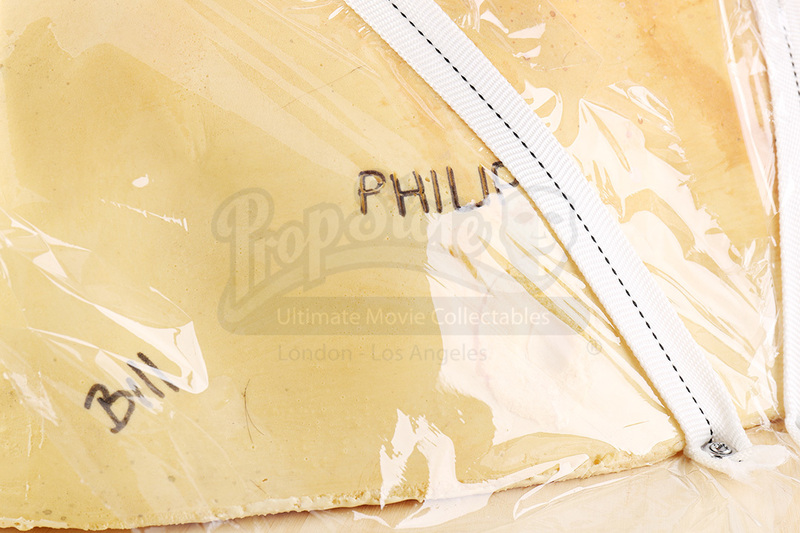 The lifecast has the name of the actor written across the chest and "P. Tan" handwritten on the back. 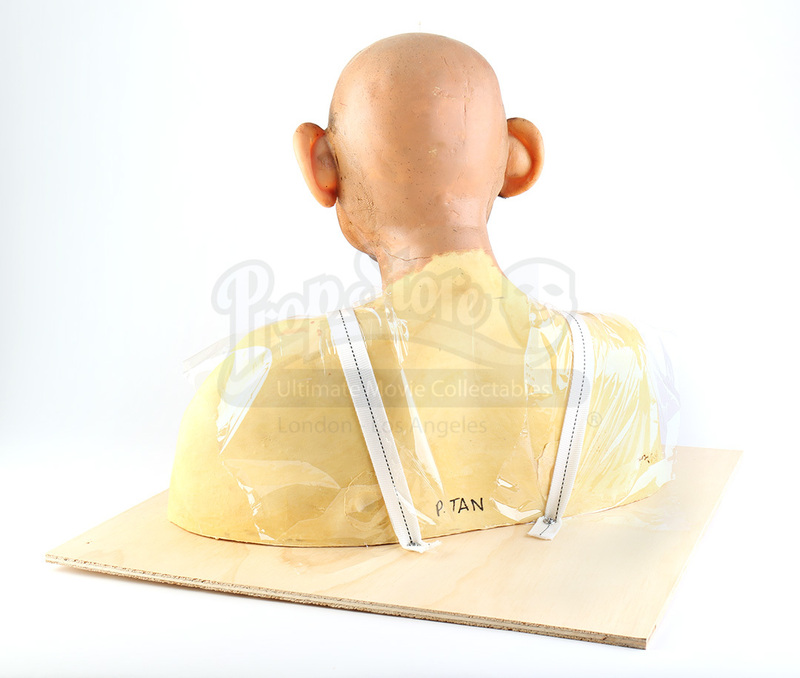 Mounted to a wooden base, two nylon straps secure the bust to the base. 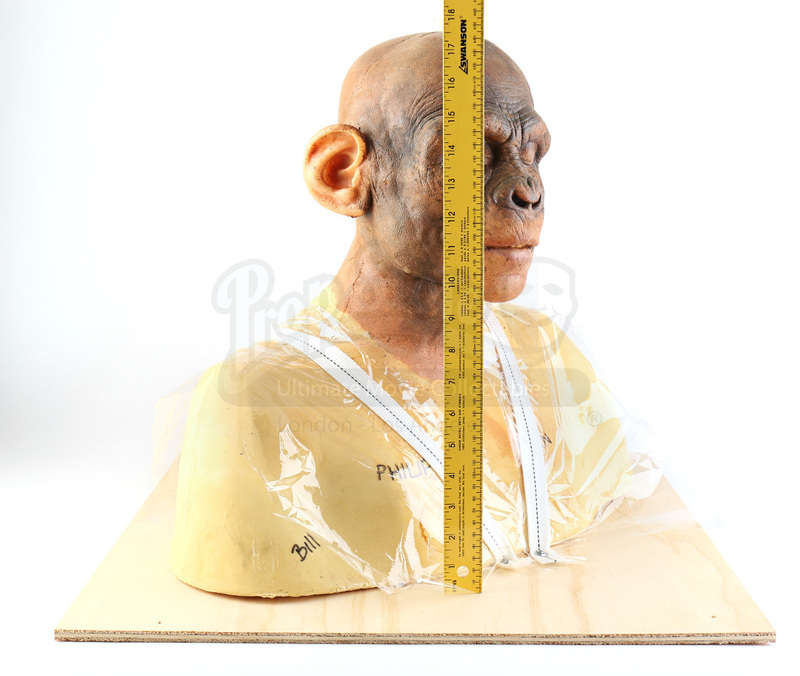 The piece shows some wear from production and age, but it remains in very good overall condition.